​Flyte and her friends create a fun and educational show for all the family. 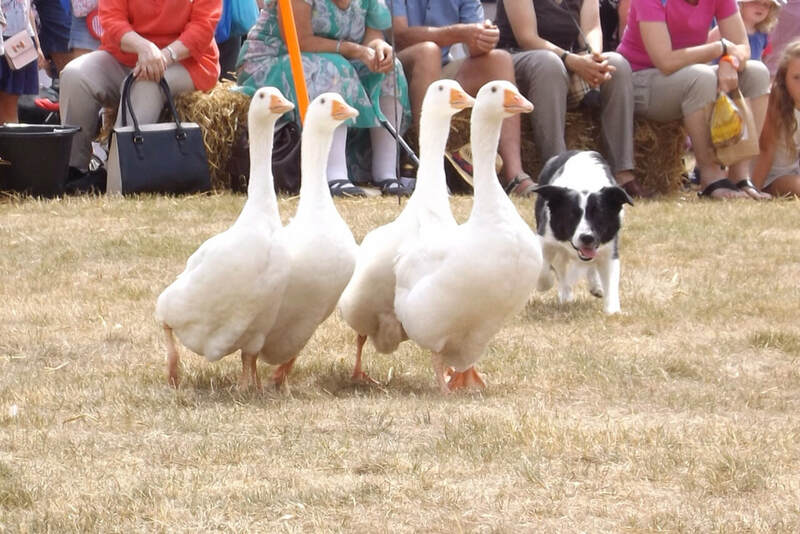 This unique sheepdog display brings together humour, fun, education and a sense of theatre – not the usual demo at all! The display runs through a series of emotions from pride, to laughter, to tears, to wonder, as Terena and her friends take you on a journey with her dog Flyte. 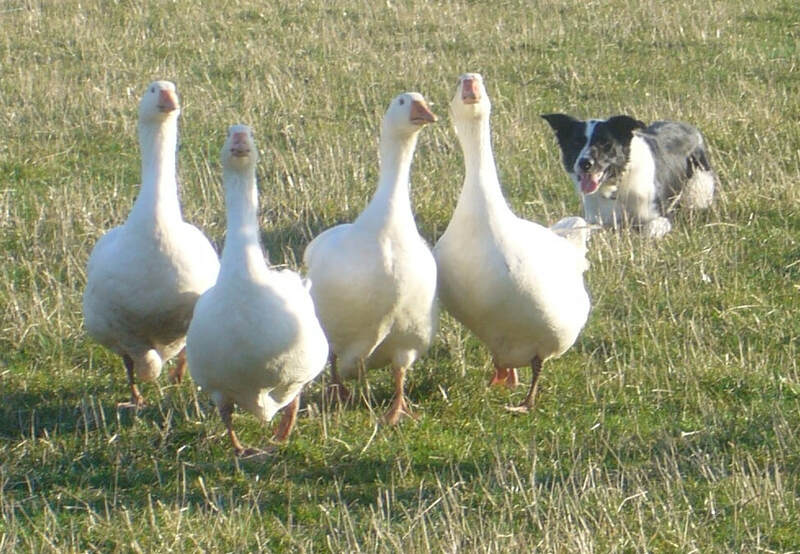 Flyte works with geese to demonstrate the skill and intelligence of the working sheepdog. Using a variety of obstacles, Flyte takes her friends through a fun and testing course showing everyone the versatility of this amazing breed of dog. We are very proud to announce that CSJ is providing food for all the dogs. I truly believe that Ceri (founder) really looks deeply into the nutritional aspects of the dogs she feeds and recommends a diet that will benefit the health of each dog. We are very grateful for her help. Ask us for more information at one of the the above events. Come and see Flyte in 2019 to discover the energy and vitality good feeding can create. Thanks Ceri for the support and advice.